Peace and quiet. Take an electronic break and unplug yourself from constant noise and interference in your mind. Do it today – every day – for an hour and just be with yourself. You will be surprised what this brief daily reprieve will do for your creativity and your stress level as you connect with your internal/eternal peace and quietude. Wherever you are at this moment, your feet are on sacred ground. All things are made of the same Divine essence, as the sun shines equally upon all things, thus the Divine is present everywhere. Therefore, do not think you must go somewhere special to connect to Spirit, as you are already there…always…no matter what. You are not your job, your profession, your education, your family, your beliefs, your body, your emotions…not even your mind. You are a Divine Being expressing through human form. Don’t be fooled into believing your own limiting labels. Identify with Highest nature. Feed your Soul. Pay attention to the dynamics of energy that are created when individuals join together in a group. Know that your free will enables you to engage or avoid these energetics. If you have your antennae up, you will be successful in your selection of those you share your precious life with, as it is short indeed, and wasting time with those who lower your vibration is a trap to be avoided at all costs. Love is the vibration of our True nature, which creates and sustains all things. The more love you are able to share, the more love will be drawn unto you in a never-ending spiral, a spiritual dance with the Divine. This is the ultimate fulfillment of our existence – to love and to be loved. It’s as simple as that. We all know that when you shine a light into a dark space the light prevails. If one attempted to send a beam of darkness into a lighted space, it would do nothing. As Light-bearing beings, we too shine and, in so doing, dispel the dark, negative shadows that lurk around us. Draw together our wattage and all there is – is Light. Let us join one to another in like-mindedness, knowing we have this innate power, and banish all darkness from the human condition. When you have suffered an injury mentally, physically, emotionally, financially, or in any other capacity, follow the wisdom of the animal kingdom: retreat, calm down, be quiet, care for your wounds and be patient. Healing comes in its own timing given the right dynamics and your willingness to be an active participant in doing what’s best for you. Healing is a natural phenomenon of living. Accept it. Let it be so for you, now. Consider this…if you are unwilling to fulfill your highest potential, many others will pay dearly on your behalf. Everything that we do affects the whole, and when you are blessed with any kind of gift or strength it is your birthright and your Spiritual obligation to put all of those blessings to work for the greater good. The world is waiting for you…please rise to the occasion…and thank you for being you. Wednesday, Jan 23, 2013	A symbol with deep roots. 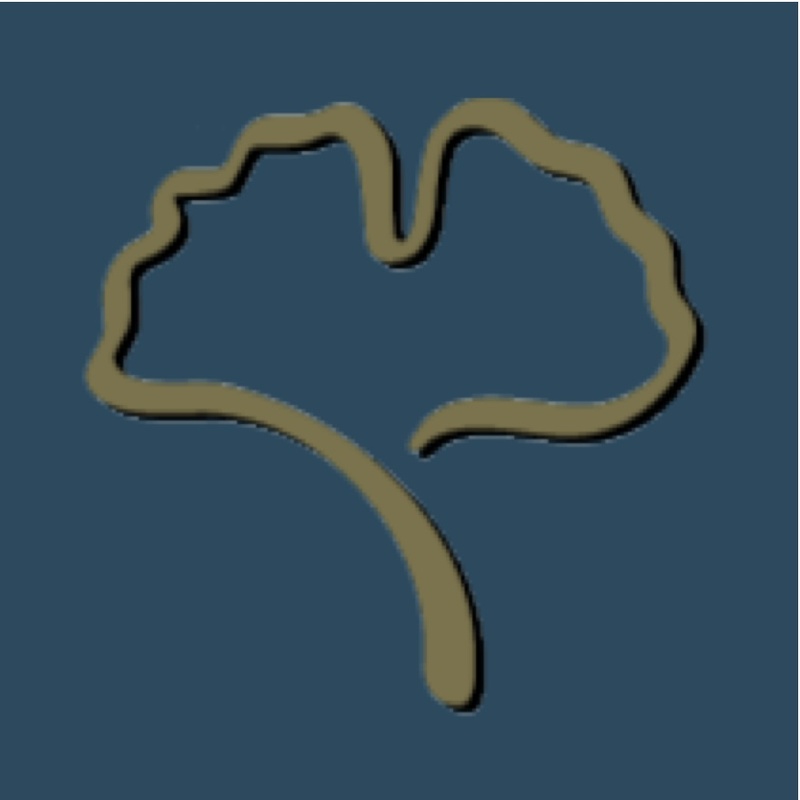 We are often asked about the picture in our logo and what it signifies. One person thought it might be an African Umbrella Thorn Acacia tree. Others have said it looks like a brain with part of the spinal column. 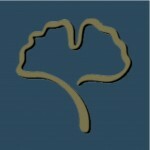 Good—and creative—guesses, but it is actually a ginko leaf. The ginko is Marydale’s favorite tree. Besides being extremely beautiful and a true expression of all the seasons, the gingko tree is considered the most ancient tree known to man and is often revered as sacred. It is believed that its medicinal properties are excellent for the heart and lungs, and India’s traditional Ayurvedic healers associate the gingko with long life. What a perfect representation for Param Yoga. 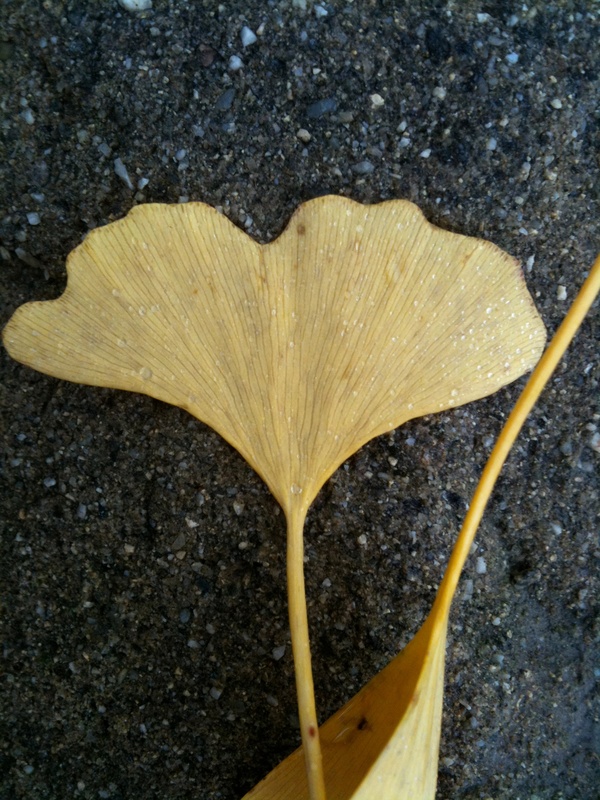 In fact, Marydale snapped this picture of a ginko leaf in Chatsworth Park North, just up the street from the studio. So, the next time you’re at the studio and you hear someone say, “What IS that thing?”, you can tell them it’s a symbol with deep roots. I have seen people writhing with so much mental and emotional pain that it becomes impossible to cope with their lives. The only thing available for me to do to assist them, in this time of tremendous suffering, is to see their perfection. To hold an image in my mind and in my heart so crystal clear of their Divine blueprint that all else shimmers away as merely their experience here in human form meant to smooth their rough edges like a river rock tumbling in the bed of a swiftly moving stream.